Even in the dead of winter, water is the greatest source of life we have. But winter has its own challenges when it comes to access to water. 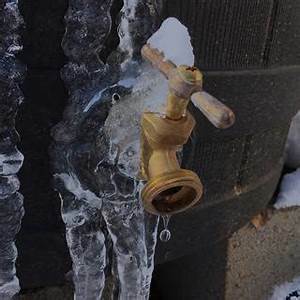 Cold temperatures often wreak havoc on the typical water sources. Take a look around your current environment. Do you know where your water comes from? Do you know what the supply source is? Sometimes an entire town has a single water source and shared service. Sometimes your well is the sole source. Whatever the main source is, you should be prepared with some kind of backup – especially in winter time. During the spring or fall, we can rely upon rain barrels, water collection, and what storage space we have available. But during winter, if your main water source fails and your backup is outside, you will be facing a whole separate challenge. When your backups freeze – what then? Listen to this broadcast or download “Winter Time Water Procurement!” in player below! This week on The Next Generation Show, we’ll be getting into the ways you can get by on alternative water sources – temporarily – by thinking outside the box. 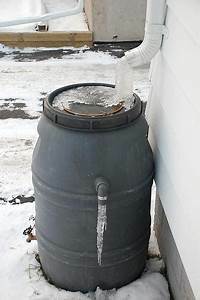 We’ll be talking about some helpful tips to prevent your rain barrels from freezing, good methods for thawing frozen pipes, and how to get water in non-traditional forms outside in the cold. In a grid-down scenario, like an ice storm or heavy snowstorm, you could find yourself at a loss and clamoring for water. But by taking the time and taking an inventory of the resources around you, you’ll have a leg up while others are struggling around you. Also, don’t miss out on our Pint Sized Prepper Project of the week where we demonstrate how you can build a simple water bottle filtration system using the coals from your fireplace and a little imagination.